Starting off the list below are some traveler favorite lodgings as well as some of the higher rated (on Trip Advisor & Booking.com) hotels on the island. There are also listings by location and type. Top rated on Little Corn Island, Little Corn Island Beach & Bungalow on Cocal Beach offers very clean, comfortable and charming “Rustic Nica Chic” cabins, in cabin WIFI, wonderful beds, private bathrooms, hot showers, eco friendly power, fans, sea breeze and waves, great quiet location (13 minute walk to village) and lots of amenities. Turned Turtle Restaurant is on site and highly rated. Talented staff promptly serves tasty and affordable food all day along with great Margaritas, Pina Coladas and frozen Frappacinos. Private bath cabins as low as $69, shared bath, $39. Click here to book see reviews (here) visit their website. Call 8923 2517. A luxury resort that opened in 2013. 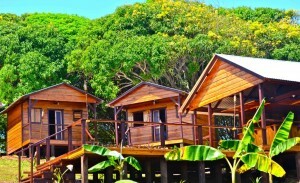 16 individual luxury cabins located beachfront at the north end of the island. Also features on-site wellness facilities with yoga, massage etc. Currently has oceanfront suites promo starting at $95! Click here to book or visit their website. Wood cabins set in a beautiful valley on the way to the baseball field, with great views of the sea. Also with onsite bar and restaurant, popular for Taco Tuesdays, Barbeque Sundays, and live music. Private cabins are $40 for 2 persons, $50 for 3, with discounts for longer stays. Contact through their website or call (505) 5723 2477. Located on the main path on the west side of the island, Los Delfines offers comfort within walking distance of beaches, shops, restaurants etc. 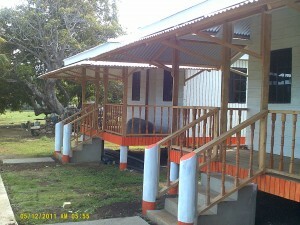 Rooms have air conditioning, cable tv, private bathroom, free wi-fi. The hotel has a bar/restaurant on site offering a wide range of foods. Also has Dolphin Dive shop on-site. 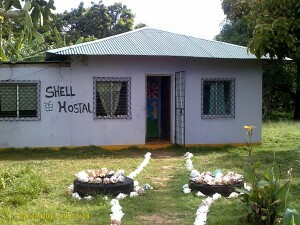 Rooms from $40 per night for single. Packages include 3 nights w/breakfast $130/$180 Single/Double. PLUS, discounts off above rates when you purchase a dive package! Click here to book or visit their website. Next to the Cuban Restaurant just to the left of the dock, these private rooms have either a double or double plus single bed with fans. Rooms from $45-$60 per night (accepts credit cards). Click here to book a room now or call Twila on (505) 8847 8013. 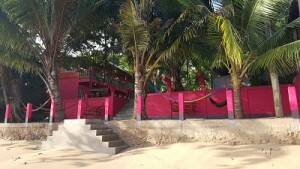 Backpacker favorite, Cool Spot, has festively colored cabins by the beach, mostly shared bathrooms but a couple with private facilities also. A great place to meet other travelers, and while away the day lazing in hammocks, snorkeling, and as it gets dark to savor a cold beer or bottle of rum. On-site restaurant produces local style food including fresh fish and lobster. Rooms from $17 per night. Accepts credit cards. Contact by phone on (505) 8617 0239. Derek and his wife Anna have created a unique hideaway at the north-east end of the island where wooden cabins sit among lush green grass leading to the beach. Home prepared meals in a communal dining area add to the family atmosphere where you’ll also quickly make friends with Derek and Anna’s two children who are keen to show you around their own little paradise. Rooms from $70 per night. For more information please visit their website. 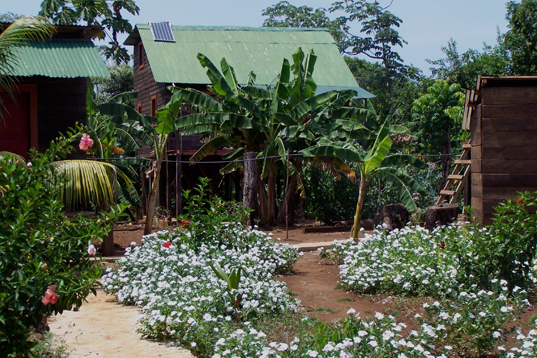 Individually designed artisan cabins blend in with their environment at the north end of the island. Prices range from $25 upwards. Click here to book or visit their website here. 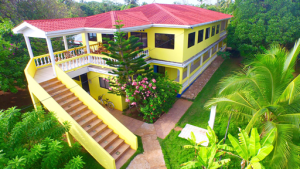 Three Brother’s Hotel is run by the friendly and helpful Randy and Lucila who go out of their way to ensure you have a pleasant and safe stay at their place. Two large communal kitchens makes it a popular place for those on a budget, and also popular with those taking extended stays on the island. It’s an island institution where cleanness and security are important with a relaxed vibe. Dorms from $15 and rooms from $20 per night with clean shared bathrooms. Click here to book, visit their website or call (505) 8658 8736. This newish hostel features beds for $15 per night with individual fans, privacy curtain and power outlets. Large kitchen and close to bars and restaurants, located about 150m to the left of the dock. Click here to book. You can also contact on (505) 8662 8821. 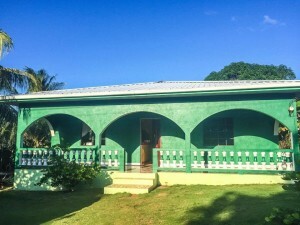 Run with true island flavor by Mr Gomez, he has 3 rooms with shared bathroom, shared kitchen with fridge for $10/$15 per night. Well situated overlooking the coast on the west side of the island at the start of the path to the east side. Phone for availability on (505) 8339 7776. Located about a 3-4 minute walk from the dock, on the way to LCBB, there are 8 cabins and on-site bar/restaurant. Small cabins have one queen size bed and private bathroom and veranda for $25 a night. Larger family cabins have 2 bedrooms with a total of 3 queen size beds, private bathroom, and verandas plus kitchen with fridge for $50 per night. Prices include breakfast. Click here to book now or call (505) 8668 0017. Many past visitors are familiar with one of the first hotels on Little Corn. Sadly, Casa Iguana closed in 2017 due to long-term problems with non-payment of staff by the owner. It’s unknown if or when it will re-open, and rumor is that it’s up for sale. An island favorite, this great property is currently closed waiting for new management.